When you rerun a report, there is a small chance that you will get slightly different report, because flags have been changed, or the report has been modified. If you want to preserve your report as it was when it was originally ran, then you can easily do that by saving it to the Report Archive. Once the report is archived, you can return to it over and over again without even rerunning it. Now you have your very own microfiche system – minus the clunky reader. The forms standard forms like the Order Confirmation are a lot more dynamic than you may think. If you have standard notes that you want to include on every document, or if you need to add record specific notes to the header of the lines then they can be configured to pick up the document attachment notes all without a single line of code. No more sticky notes on your documents. 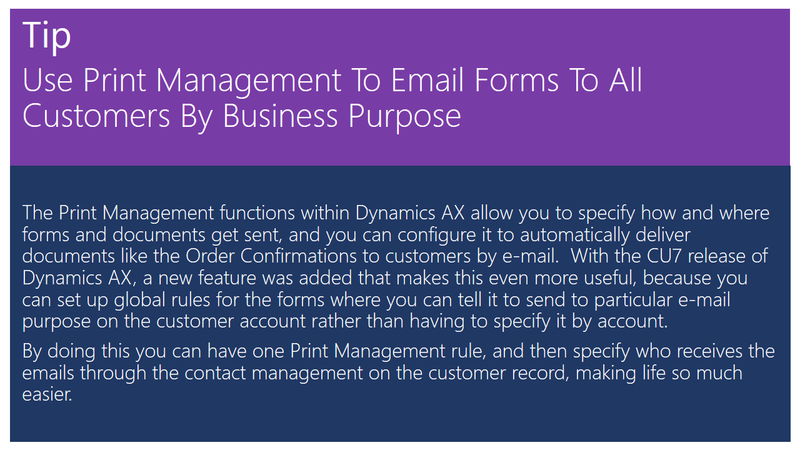 The Print Management functions within Dynamics AX allow you to specify how and where forms and documents get sent, and you can configure it to automatically deliver documents like the Order Confirmations to customers by e-mail. 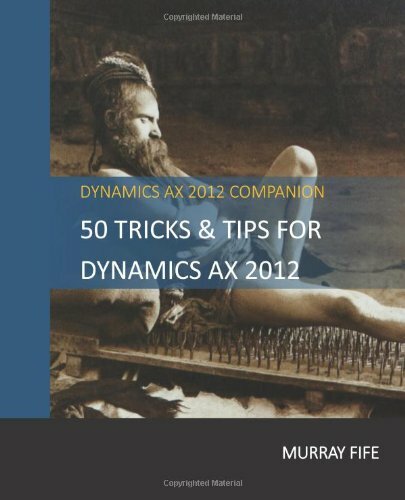 With the CU7 release of Dynamics AX, a new feature was added that makes this even more useful, because you can set up global rules for the forms where you can tell it to send to particular e-mail purpose on the customer account rather than having to specify it by account. By doing this you can have one Print Management rule, and then specify who receives the emails through the contact management on the customer record, making life so much easier. 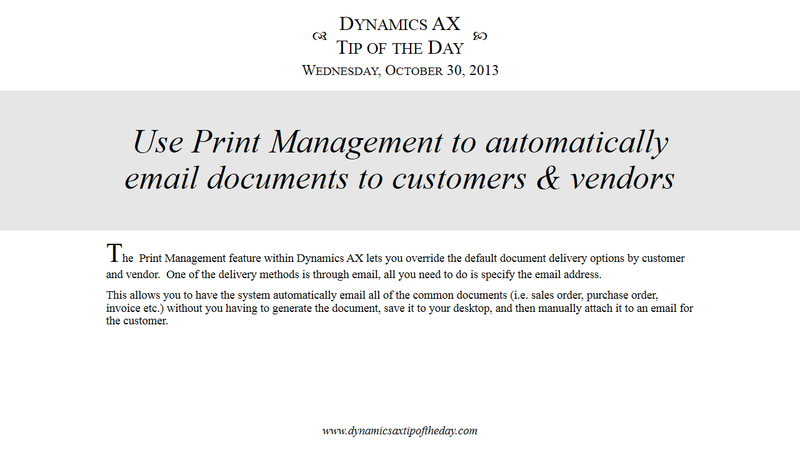 The Print Management feature within Dynamics AX lets you override the default document delivery options by customer and vendor. One of the delivery methods is through email, all you need to do is specify the email address. This allows you to have the system automatically email all of the common documents (i.e. sales order, purchase order, invoice etc.) without you having to generate the document, save it to your desktop, and then manually attach it to an email for the customer.